GWI is proud to announce an expanded portfolio of student activities this fall. These opportunities–both within academic courses and outside of class–will give students the chance to dig in to the real global issues that GWI and its partners face and the systems thinking necessary to tackle them effectively. Often, even when farmers in developing countries have access to irrigation, they don’t know the right time or amount of extra water to give their crops. Fourth-year students in the Department of Food, Agricultural and Biological Engineering will have the opportunity design a low-cost, soil-moisture sensor array that can measure and report soil moisture levels back to the farmers who need them. A major source of food scarcity in the developing world has nothing to do with crop failure, climate change, or poor soil quality. In Tanzania, for example, at least 10% of staple crop yields suffer post-harvest loss due to spoilage or improper storage. Fourth-year students in the Department of Food, Agricultural and Biological Engineering will tackle this problem by designing a low-cost system for grain processing and storage to reduce spoilage, spillage, and consumption by pests. In many parts of the world (including rural Tanzania, the pilot country for GWI’s Sustainable Village Water Systems Program), naturally occurring rock formations give the local water so much fluoride that it is poisonous to use. Senior students in the Department of Chemical and Biomolecular Engineering will have the challenge of designing an efficient but extremely low-cost filtration system capable of handling 50,000 L/day of groundwater, while operating in an extremely remote area. As a relatively new start-up entity at Ohio State, GWI is still evolving on many fronts. 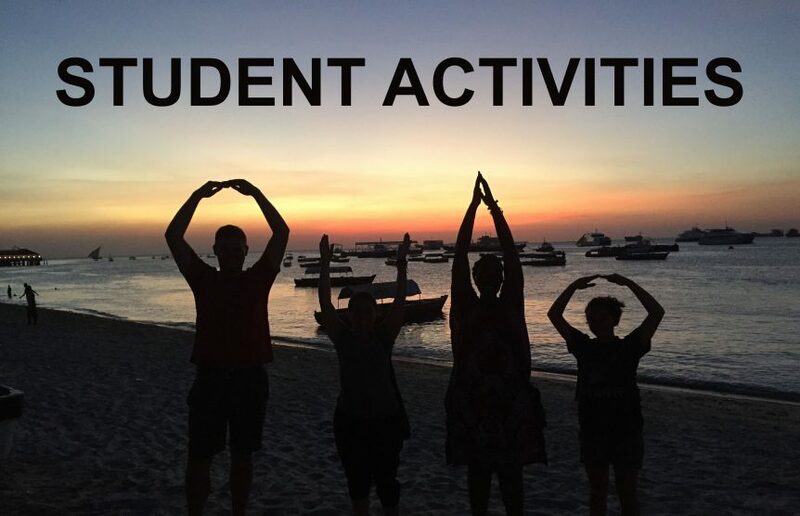 To help consider how best to engage with students, increase our exposure and presence, and measure our success, a team of undergraduate business students in the Fisher Leadership Initiative experiential course will develop a multi-faceted student activities strategy for GWI. This strategy will ultimately help us get students involved in our mission of delivering sustainable systems solutions to globally applicable water resource issues. GWI will also be offering a challenge at the O/HIO Hackathon this fall—stay tuned for updates! Contact student activities coordinator Nathaniel Kramer for more information, and follow our Facebook page.